In order to enjoy your TCL Roku TV's streaming capabilities, it must be connected to the Internet. This can be done via WiFi (available on all TCL Roku TVs) or by using an Ethernet Cable (only applicable for TCL Roku 4K TVs). Here is a quick video on how you can connect your TCL Roku TV to your home wireless network. You can also refer to the step-by-step instructions below, select your preferred connection. NOTE: Be sure you have wireless network name and password. If your network is password-protected, use the on-screen keyboard to enter your wireless network password. After you submit your network password, the TV will display progress messages verifying your connection as shown below. Click here if you are are having issues connecting to your wireless network. Once you TV is connected to the Internet, it will automatically check for, download and install any available software updates. 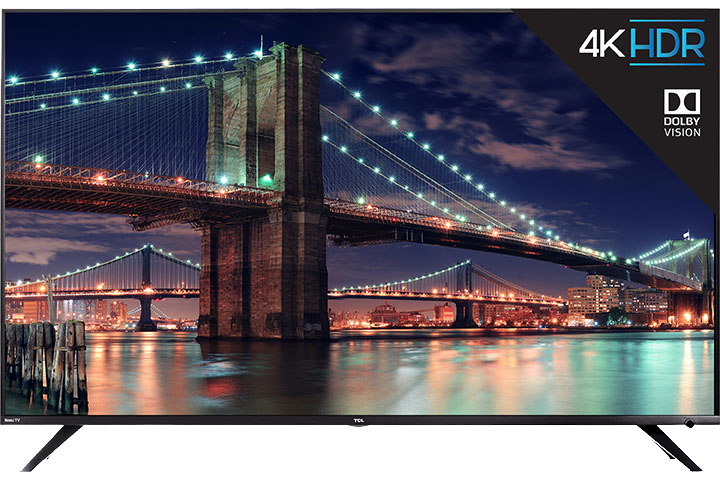 Note: This option is only available on TCL Roku 4K TVs. 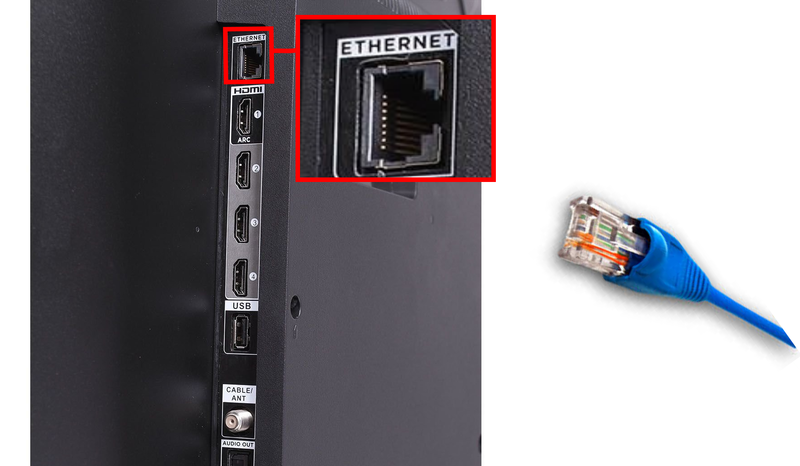 At the back of your TCL Roku 4K TV, locate the Ethernet port. Note: Your TV automatically checks for updates periodically. These updates provide new features and improve your overall experience with the TV. After an update, you might notice that some options have moved, and that there are new options or features.